Dollar Lake Trail has a total elevation difference of 2,842 feet, and that is higher than average. This is a two-ended wilderness trail with two trailheads which means you have the option of trekking it one way if you have someone to pick you up at the other end. This neighborhood does get very dry sometimes, so make sure you check current conditions and fire restrictions with local forest authorities before you head out. The time needed for this backcountry trek is roughly 8 hours, but of course some people walk a bit slower and some a bit faster. This is a backcountry hiking trail that is quite long, so don't forget to pack enough supplies. Some parts of this trail are much higher up than other parts of the trail, and that means that some parts of the trail could be very different from other parts of it. Being 8.8 miles long it's a mid length backcountry walk. You blog brings back old memories of my scouting trips to the old Camp RokiLi, just a short hike from Jenk’s lake. 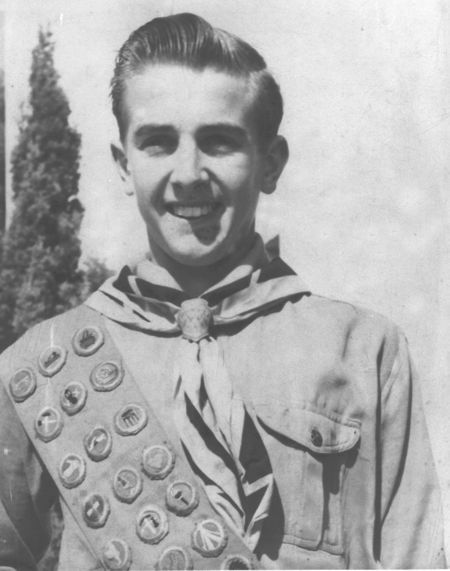 My dad was Troop 6 scoutmaster in Costa Mesa from 1943 through 1952. I was one of 12 Eagle Scouts from Troop 6 during those years. Each summer we would take our turn for one week at Camp RoKiLi. The first summer after the end of the War (1946) we took the old trail from Jenks Lake all the way to the top of San Gorgonio Peak, 'Greyback'. (there was no road out of Jenks Lake) It was a tough hike for 20 Boy Scouts. I still remember hiking across Horse and Slushy Meadows. No other hikers were on the trail. We spend the night on Dollar Lake before ascending the last steep trail to the peak. Dollar Lake was beautiful, resting at the base of 'devil’s slide. ' Deer kept us awake with their rummaging for food in our back- packs. We had a surprise when we reach the top of Greyback. We came across a recently abandoned observation shack. We were first to arrive after the Army closed it down. The shack was still stocked with can goods, two army cots, plus various other items that have slipped my memory. From the observation shack, you could see all the way to Arizona and the Pacific Ocean. In those days, there was no air pollution. I dragged one of the army cots all the way back to Camp RoKiLi. The cot remained in my room until I joined the Air Force during the Korean War. I have no recollection what happened to it.